Andrea is interested in art that lifts the heart, sparks the imagination, and stimulates the spirit. Curiosity is her primary motivating force, and inspiration is drawn from the awesome and entertaining forces of nature. 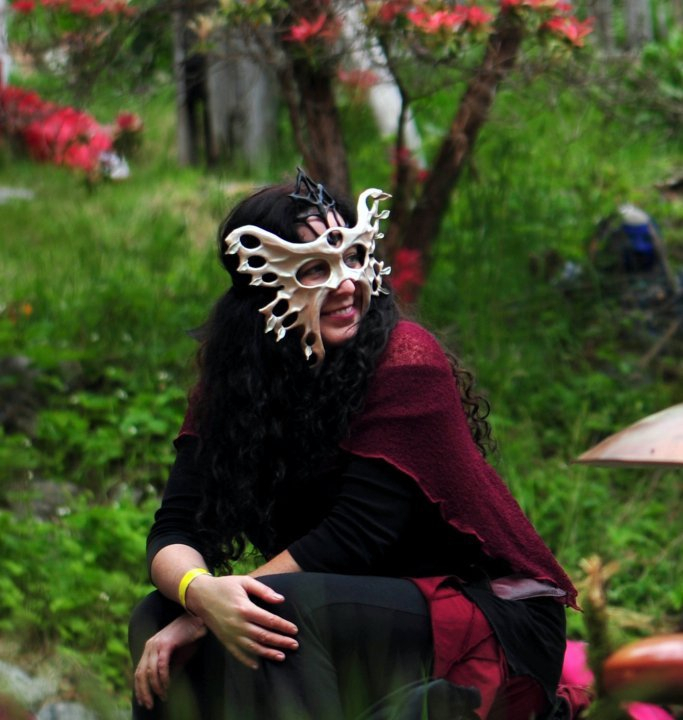 She designs many pieces that involve interaction or play, and enjoys transforming passive viewers / wearers into active participants. Her home studio is on the beautiful island of Salt Spring, Canada, and her work is often directly inspired by the spectacular natural surroundings just outside her door. Andrea teaches students worldwide with regular classes in both silversmithing and leather mask making, and exhibits her work in seven galleries across Canada. When it gets too cold for creativity in Canada, she can be found in the jungle on the northernmost Thai -Burmese border, organizing and performing in SPARK! CIRCUS (www.sparkcircus.com) , a volunteer based fire circus program for refugee and migrant children.